The materials provided on and through this site constitute a publication provided by Model Investing (“Publisher”). The Publisher is not a registered investment adviser as defined under the Investment Advisers Act of 1940. Model Investing materials are provided by the Publisher pursuant to Section 202(a)(11)(d) of the Investment Advisers Act of 1940. 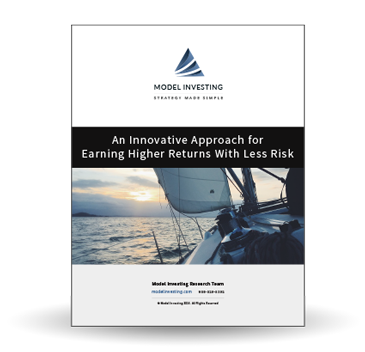 Model Investing materials constitute bona fide publications of general and regular circulation offering investment information of an impersonal nature to subscribers and/or prospective subscribers. The information and materials provided on this website and through electronic communications are provided as a general source of information on finance and investment topics. While all reasonable efforts have been taken to ensure the accuracy of the materials provided, Publisher cannot and does not guarantee or warrant the accuracy or completeness of such information. The information provided by Publisher is not intended as specific, personalized investment advice, and may not be updated. You should always confer with a registered investment adviser prior to entering any investment transaction. The materials provided on Model Investing may focus on certain market conditions or events to highlight a specific investment occurrence. Past performance does not guarantee future results. You should not rely on any past performance of an investment or market as a guarantee of future investment performance. Investment conditions fluctuate constantly as does the performance of specific investment vehicles. Publisher and individual authors of materials on Model Investing may from time to time take positions in individual investment vehicles discussed in materials published on the site. Such positions will be disclosed in the relevant material.